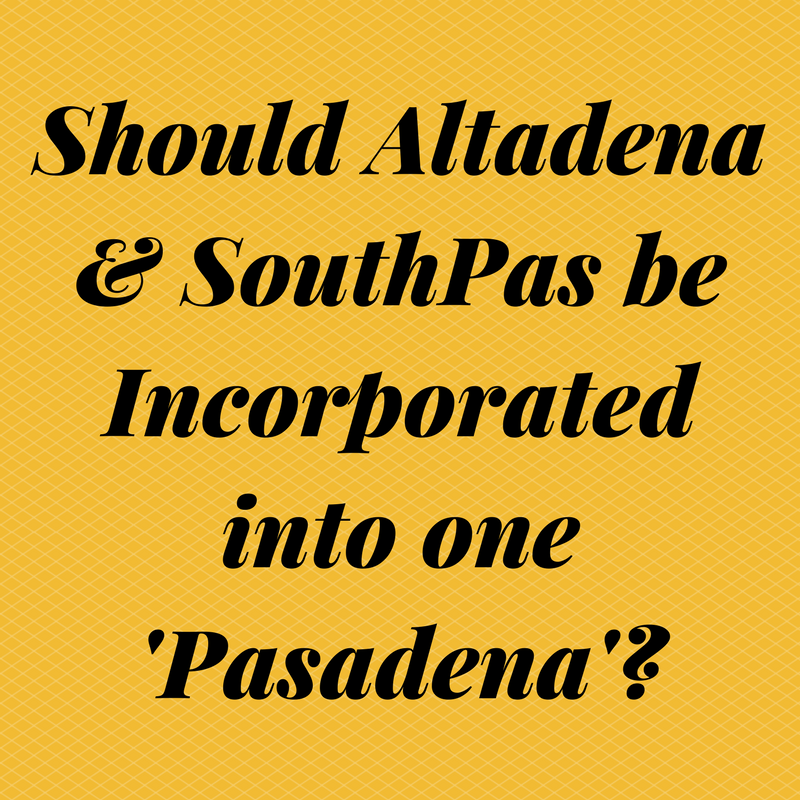 Should Altadena &amp; South Pasadena merge with Pasadena? Cast Your Vote Today! Should Altadena & South Pasadena merge with Pasadena? Cast Your Vote Today! As the industrial age comes to a close and year 2000 babies become adults, a new generation of thinkers arise from our communities. Since the late 1880's, Altadena, Pasadena, and South Pasadena have developed their own sense of character and esteemed heritage. We've recently asked the Pasadena community if they'd be open to such a change. And a lot of more than half of them said "No". After the initial response we received, we believe that Altadenans, Pasadenans, and South Pasadenans more or less agree on each city keeping their own identity. But, the young minds of today challenge that tradition with a simple question. 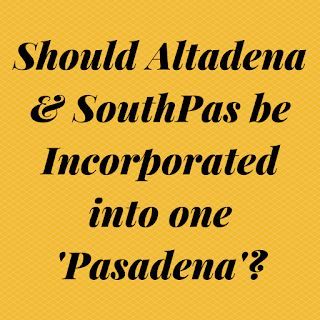 Should Altadena & South Pasadena be Incorporated into one Pasadena? Cast your vote below and feel free to explain why you feel it would or would not be a good idea. At this time, there is no commissioned initiative to change these cities. This is strictly for discussion purposes and to encourage community engagement.